Many open access journals are legitimate and reputable, and offer authors the means for maintaining copyright (right to distribute, etc.) over their own work. Those considered to be "predatory" are merely pay-to-publish websites that exploit researchers and ultimately reduce the credibility of published research. Why are predatory journals on the rise? It can sometimes be difficult to distinguish between reputable publishers and unscrupulous ones. For example, some legitimate publishers may solicit articles or editorials. Also, the practice of charging for publication is an accepted open access business model, offering benefits to both authors and readers. National Library of Medicine Catalog. Check to see if a journal title is indexed for MEDLINE, which involves a rigorous review process. Inclusion in PubMed alone IS NOT an indicator. The Association of Vision Science Librarians	is developing a white list of reputable vision science journals. Cabells Scholarly Analytics has a fee-based White List; a subscription is required. Pisanski K. Predatory journals recruit fake editor. Nature. 2017;543(7646):481-3. Vence T. On blacklists and whitelists. The Scientist. July 17, 2017. Hunziker R. Avoiding predatory publishers in the post-Beall world: tips for writers and editors. AMWA J. 2017;32(3):113-5. Lauer M. Continuing steps to ensuring credibility of NIH research: Selecting journals with credible practices. NIH ExtraMural Nexus. November 8, 2017. National Institutes of Health. Statement on Article Publication Resulting from NIH Funded Research. Notice Number: NOT-OD-18-011. November 3, 2017. Federal Trade Commission. FTC charges academic journal publisher OMICS Group deceived researchers. August 26, 2016. 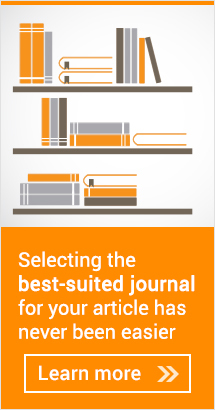 Lake L. Academics and scientists: Beware of predatory journal publishers. Federal Trade Commission Consumer Information [Blog]. August 26, 2016.
Zimmer K. U.S. court issues injunction against open-access publisher OMICS. The Scientist. November 27, 2017. Cobey KD, Costa e Silva M, Mazzarello S, et al. Is this conference for real? Navigating presumed predatory conference invitations. J Oncol Pract. 2017;13(7):410-3. This article is repurposed from a library e-newsletter from the University of Michigan, Department of Ophthalmology and Visual Sciences.